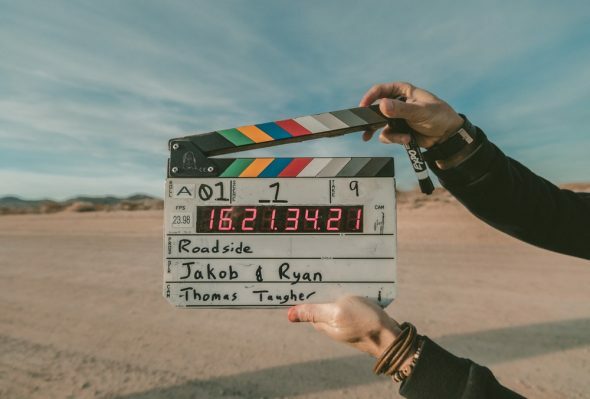 According to the Motion Picture Association of America, Utah’s film industry is responsible for 21,841 jobs, 7,061 of which are directly related to film and TV (and 2,480 of those jobs are in production). Altogether it provides $252 million in wages annually. And the number of productions coming to Utah show no signs of stopping — in 2016 Utah issued 356 film permits, that number grew to 602 in 2017. As a growing industry, Film and TV employs a diversity of skills and trades. From special effects technicians to makeup artists and wardrobe design, writers to set builders, actors to ticket takers, producers to directors, it takes a whole team to make movie magic. You have these skills. You want to grow your business. So where do you start? If you are new to the industry, the Production Assistant (P.A.) Certification offered by the Utah Film Commission is a great place to start. It is a one day course where you can learn some of the lingo, on-set decorum and most importantly what is typically expected of a P.A. The course is taught by a local Production Supervisor and a 1st Assistant Director and offered usually once per quarter, dependent on their schedules and demand. The Utah Film Commission provides free listings in the Utah Film Directory to Utah resident crew and locally based support services (vendors or businesses). Select from two listing types: CREW or SUPPORT SERVICES and list yourself in one or both areas. This can also be a great place to reach out to those who are already working in these disciplines for mentoring. This helpful database will allow you to customize a search by category, name, or company. Categories range from accommodations, animal equipment/services, to locations, stunts, wardrobe, and more. “For almost every department there is an entry level position. For example, someone who wants to pursue a career as a Costume Designer might start off as a Costumer, or maybe they might work as a Seamstress. If they have great fashion sense, it helps to get to know the ins and outs of production and the people involved. 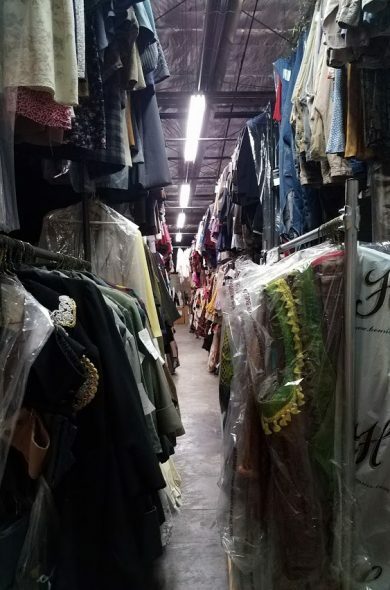 After you build up your credits, reputation, and relationships you could be moved up to Costume Dept. Supervisor or a Buyer and eventually with enough experience work as a Costume Designer. Talent and the type of production and budget are both factors. A smaller budgeted show might be willing to take someone on without much experience- especially if it is a passion project like a short or a local band’s music video, etc. It is the same with the Art Dept. Usually, people start off as Set Dressers and work their way up to Leadman, Set Decorator, and then (much later) to Production Designer. They can also get there through the Props or Construction Departments in the same way. There are other ways that film productions can utilize talented creatives. For example, a Set Decorator may rent or purchase a local artist or artisan’s work to decorate a scene. A Costume Designer might commission a fashion designer to create the lead actor’s attire, or a Property Master might higher a craftsman to construct a prop or a special weapon, etc. A strong local economy depends on a strong creative economy—and it all starts with a story. Reach out to the Utah Film Commission. They are located in Salt Lake City at the Council Hall building at Capitol Hill (300 North State Street) or call 800.453.8824. Salt Lake City is home to breathtaking views. The open road, the adventure, the unique and much more is available to see in UFC’s Look Book. 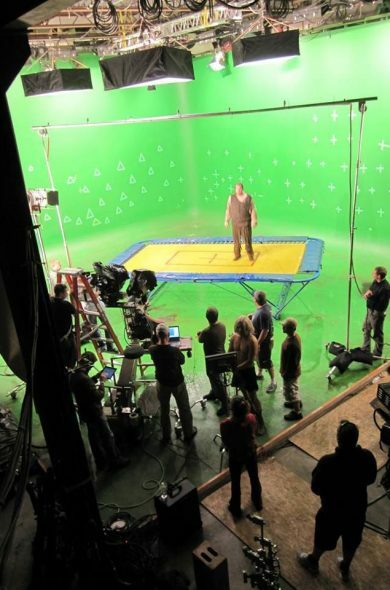 Redman Movies and Stories’ VR Stage – Located in SLC, is a grip and lighting company servicing the Intermountain West for more than 35 years. At the Utah Opera’ Wardrobe Dream Factory – Building, creating renting sets and costumes around the world is a longstanding SLC venture. And the proceeds help the Utah Opera hang onto valuable artists. 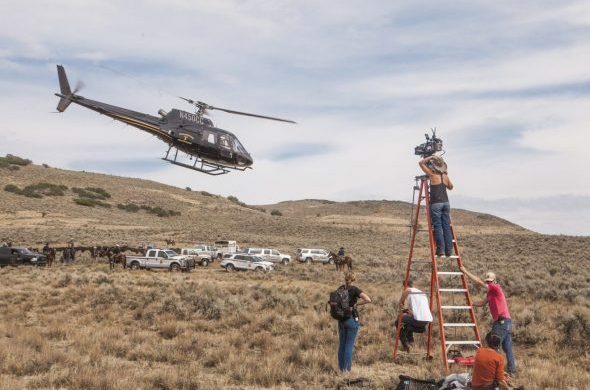 Shooting “Yellowstone”, a 10 part series filmed in Utah, Summer 2018. The Paramount Network series will be spending $28 million in the state and hiring about 320 local cast and crew. Blog post contributed by Salt Lake City’s Department of Economic Development. Formed in 2016, under the leadership of Mayor Jackie Biskupski, Salt Lake City’s Department of Economic Development is focused on building Salt Lake City as a vibrant, beautiful, prosperous, diverse, and authentic place – a place that is economically accessible to everyone. Known as the “Crossroads of the West,” Salt Lake City is strategically located for businesses to succeed. SLCDED works to streamline processes, provide excellent customer service, and offer an array of resources and services to recruit and retain businesses in the City, and ensure they have the tools to thrive.